” Never work a day in your life ” It is possible! In our last post we talked about one of our well know program, Medical Assistant. We mentioned jobs that you may be interested in with your diploma. Now, this post will give you more in depth on jobs you can get with your Medical Billing & Coding Diploma with our program. ( ERC ) Remember do what you love, and you will never have to work another day ! Medical billers are incredibly important in every healthcare facility— these providers can’t stay in business without good billers. Medical coding worker is a health care professional in charge of processing patient data such as treatment records and related insurance information. 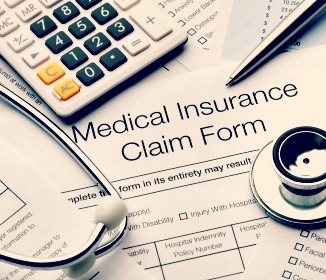 Medical insurance billers and coders are tasked with coding a patient’s diagnosis along with a request for payments from the patient’s insurance company. Translate patient information and into alphanumeric medical code. Review delinquent accounts and call for collection purposes. Ensure healthcare facilities are reimbursed for all procedures. Know several different coding systems, including Level 1 HCPCS and Level 2 HCPCS. Use computers to read and organized charts. Follow up to see if a claim is accepted or denied. Investigate rejected claim to see why denial was issued. Investigate insurance fraud and report if found.